Why a Master’s Program in the Teaching of English as a Foreign Language? You will be in a better position to comply with Law 115 of 1994, and the National Bilingualism Plan 2004 – 2019, decreed by the National Ministry of Education, the aim of which is for students at all levels of education to possess good English communication skills. Through advanced theoretical and practical training, you will become a more critical and self-critical teacher, as well as more innovative and creative of in the implementation and use of a variety of processes and techniques used in the English classroom. You will be better prepared to interpret the problems and needs of your students as individuals, groups and communities in learning English as a foreign language. Upon completion of your master&#39;s program, you will be able to design policies and programs for the teaching of English. Being aware of what is involved in the teaching of English as a foreign language, you will become a natural leader for processes of its improvement in your institution through teamwork with your colleagues. Certificate of two years of experience as a teacher of English or as a teacher of any subject matter in English. Certificate of Language proficiency at a minimum of a B2 level according to the Common European Framework of Reference for Languages. If no certificate is available, the candidate should take an English proficiency exam at Icesi. The program offers students the opportunity to take classes with teachers who are native English speakers and, for those who are interested, the opportunity to travel to study and participate in teaching experiences abroad. Icesi is a member of ISEP (International Student Exchange Program), therefore, our students will have the possibility to study abroad. Why a Master’s Program at Universidad Icesi? 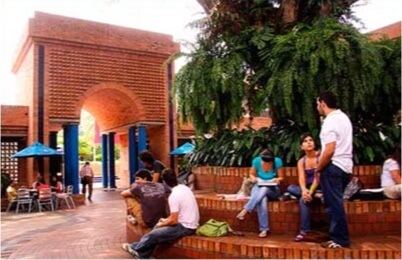 Universidad Icesi is committed to human development in our country through higher standards of education. You will find that learning at Icesi is a pleasant experience. It will become immediately apparent to you why Icesi was the first University in southwestern Colombia to be accredited as a high quality institution. Prestigious public and private organizations recognize the comprehensive professional training Icesi provides to its students. Our learning model, based on the principles of active learning, will assure that the time and effort you put into studying in a master's program are worthwhile. English has become a lingua franca. This has led more and more people to learn English in order to travel, to study, to work, to conduct business, etc. With this increased demand to learn English, there is a need for prepared teachers who can provide students with a space to learn, practice and grow as English speakers. Interpreting the problems and needs of the students as individu als, groups and communities in their learning of English as a foreign language. Participating in English language policy making and program design for their institutions. Explain in a clear and simple way the theoretical and practical foundations of his or her professional work; take a stand on different curricular and pedagogical issues; and lead language teaching innovation in an institution. Design, apply, assess and innovate pedagogic processes and strategies suitable for students and according to current requirements; create meaningful learning environments for students, and guarantee that learners achieve the levels of English competence defined in the curriculum. Produce assessment instruments that yield reliable information about the level of English competence achieved by students at a given time. Use research methods to respond to the needs of the classroom, and resolve the difficulties students face in the classroom, such as learning difficulties, errors/mistakes, psychological and social attitudes towards the language and rapport. Review commercial textbooks and decide on adopting, adapting or rejecting any of them; use technological resources effectively; produce didactic material to aid students’ work. The methodology conforms to Icesi’s general educational model. Students are primarily responsible for their own learning. Therefore, they must prepare for every class session through reading, summarizing, analyzing, synthesizing, criticizing and evaluating the study materials proposed in the course syllabi, and finding applicability of news ideas to their professional practice. The class format includes individual and team presentations, discussions, and applied production workshops under the supervision and support of the faculty member in charge of the course. The students will be provided with databases and specialized bibliographies, both classical and current. This is a mixed program: weekly classes alternate between on campus classes and virtual sessions every other week. This program uses the e-learning platform as support for the learning process. The materials for each course will be available on this platform. Icesi’s Foreign Language Department was created in 1987 offering one course of general English to two undergraduate programs. Today, the Department offers its services to over2600 students from all 26 undergraduate programs. By the time our students complete the 8-level English Program, they will have reached a proficiency level of B1-B2 according to Common European Framework of Reference for Languages (CEFR). Moreover, the Department offers courses in Mandarin, Portuguese, Italian, French and German, and the over 580 students enrolled in these courses will achieve a proficiency level of A2 level according to the CEFR. As part of its expansion strategy, the University serves as a registration and examination center for the British Council in the application of IELTS and other Cambridge examinations. From the moment the Foreign Language Department was selected by the Ministry of Education to participate in its project “Red Curriculum Lingua”, along with other eight colombian in the country that have received the “Certificación de Alta Calidad”, it has played an active role in the accompaniment of five Higher Education Institutions in their effort to raise the quality of their English Programs. 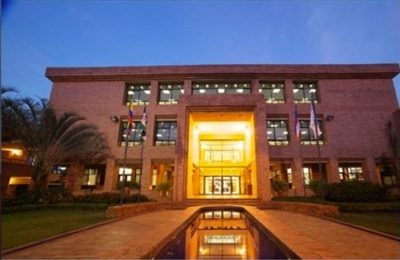 For the past years the Department has offered the Icesi’s Active Camp to the local community during the summer. The Active Camp is aimed at offering children ages 3-12 an unforgettable experience during their vacation from school. In the Active Camp, children have the opportunity to be immersed in the English language while they learn and practice English. As it occurs every year, ICFES grants a research program to 3 universities from around the country. This year, the University prepared and submitted a proposal on the added valued that higher education institutions offer their students in the process of learning English, which was accepted and is being sponsored by ICFES. Currently, the Department is conducting research on the field of teaching English as aforeign language. The Deparment also provides teacher training courses for public school teachers from Cali, as part of its participation in the “Mesa de Bilingüismo de Cali”. A foreign language teaching conference is held every other year at the University. PAEP exam result: a minimum of 450 points. Interview with the Director of the Program. Two document-size color photographs with white background. Undergraduate diploma or graduation certliificate. This is an exam designed by LASPAU, Harvard University, to guarantee a minimum level of general knowledge to be admitted to graduate programs. It is given by the Instituto Tecnológico de Monterrey, as well as other prestigious universities around the world. This test is administered by Universidad Icesi to assess reading comprehension, grammar and vocabulary of applicants. According to the European Union standards, the minimum level of English proficiency required for admission to a program is A2. If applicants have the recent results of an internationally recognized English language proficiency exam (taken within the last two years), such as the TOEFL or the Michigan test, they can submit their test results. One cash or credit card payment. Direct financing with the university of up to 50% of the tuition fee. The university offers credit counseling for financing with other financial institutions. The duration of the program is four semesters. Semesters last from July to December and January to June.